Johannesburg – Former Hawks head Anwa Dramat, former Sars deputy commissioner Ivan Pillay and suspended Ipid head Robert McBride have together come out against political conspiracy that they claim is threatening the country’s public institutions. In a joint statement by the three (full statement at end of article), they mention that recent events at the Directorate for Priority Crime Investigation (Hawks), the independent Police Investigative Directorate (Ipid), the SA Revenue Service (Sars), Crime Intelligence in the SAPS, the State Security Agency, Denel and the National Prosecuting Authority (NPA), are not unrelated. 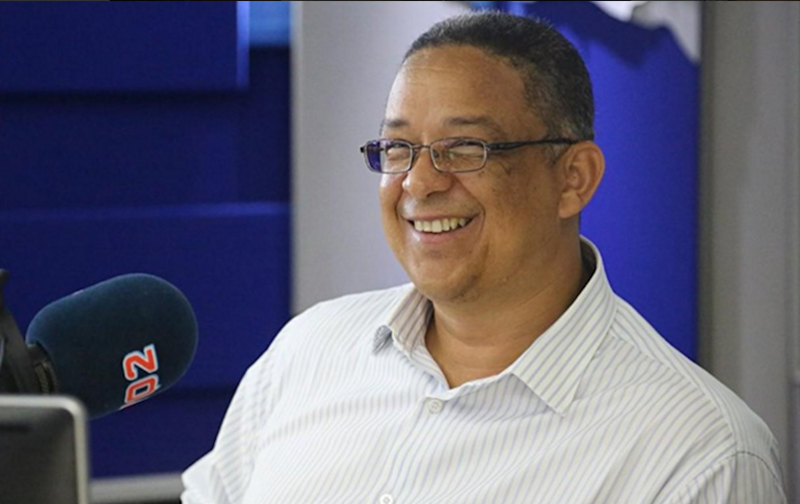 Suspended IPID head Robert McBride. “There appears to be a remarkable coincidence in the methods used to remove officials from these institutions, the players involved and their intersecting interests,” they said. “In our view, attacks on individuals in these institutions are aimed at undermining the fight against corruption. A key part of all of our mandates was to investigate cases of corruption. In reviewing our individual experiences over recent weeks, we have discovered a convergence in the cases that we were working on. They said the manner in which officials were removed followed a similar pattern. “Internal documents or ‘allegations’ from within institutions are leaked to select journalists. Working in tandem with ‘anonymous’ sources, facts are distorted in the media,” they said. EWN EXCLUSIVE. Robert #McBride, Anwa Dramat and Ivan Pillay met with ANC leadership 3 weeks ago to brief them on their fight back strategy. They said that during the “investigations”, affected officials are suspended and prevented from defending themselves publicly. They are never called to answer to any allegations by the investigators, while any representation is usually ignored, distorted or rejected by the institution in question. They said all of these suspension or removals happened when officials were investigating corruption that linked to influential people. Following a Constitutional Court hearing into his suspension on Tuesday, McBride told reporters that the reason they they were really there, and why some people who headed other departments were in the trouble was because they were investigating corruption. “With the organisation that I come from, it is brother tearing brother apart to get at the proceeds of corruption. “People who literally shared the same trenches are now at each others throats so that they can… with their snouts in the trough. Former Hawks head Anwa Dramat. He said the decision to criminally charge him just before he came to the Constitutional Court, was part of those “collusion of interests”. The Constitutional Court heard on Tuesday that the decision by the police minister to suspend McBride must be declared invalid. McBride also wants the Constitutional Court to give Parliament 30 days to decide whether it wants to institute a disciplinary hearing against him. If the order is handed down by the Constitutional Court, and if Parliament does not make a decision within 30 days, then he will be back in his job. McBride was suspended in March last year on allegations that he had changed an Ipid report implicating then Hawks head Anwa Dramat, in order to protect him. The report was about the alleged illegal rendition of five Zimbabweans that former Hawks boss, Dramat, axed Gauteng Hawks boss Major General Shadrack Sibiya and Captain Lesley Maluleke were allegedly involved in. A first report allegedly implicated them in the renditions, however a later report cleared them. Dramat resigned in April last year after much back and forth between court, his office, and being on leave, following his suspension in December 2014. Sibiya was fired in September last year after being found guilty of gross misconduct by a disciplinary inquiry into the renditions. Following Dramat’s exit in March last year, Major-General Mthandazo Berning Ntlemeza was appointed to head up the Hawks. Under Ntlemeza, the Hawks sent Finance Minister Pravin Gordhan several questions over the SA Revenue Service’s “rogue unit”. The Sunday Times reported at the weekend that the Hawks wanted Gordhan and eight others to be prosecuted for espionage, for spying on taxpayers during his time as SARS commissioner. 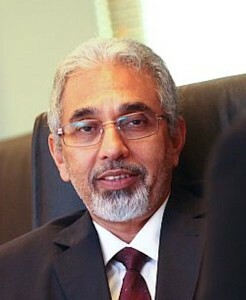 Former SARS deputy commissioner Ivan Pillay. There were also reports that former Finance Minister Trevor Manuel and former Pillay were facing arrest. Dramat, Pillay and McBride said in their joint statement that “the pattern of questionable processes” had also been applied to the recent interactions of the Hawks with Gordhan. “They sent him 27 questions at a time when it was not feasible to answer, insisted on an unduly urgent deadline, leaked the questions to the media and excoriated him publicly to answer on the pain of legal consequences. During all of this, they did not disclose what offence, if any, they were investigating or whether he was a witness or suspect,” they said. The three said that they would continue to use their experience and expertise to investigate, fight and expose corrupt activities in the private and public sector. JOHANNESBURG, 17 May 2016 – The Constitutional Court today heard arguments in the application by Mr Robert McBride, the suspended Executive Director of the Independent Police Investigation Directorate (IPID). McBride is seeking an order from the Court to confirm a previous judgment by the Gauteng Division of the High Court, Pretoria regarding the independence of IPID, that would determine whether or not the Minister of Police has the constitutional power to institute disciplinary actions against the head of IPID. Such actions include the right to suspend or terminate the contract of the Executive Director of IPID. McBride was suspended by Police Minister Nathi Nhleko on 25 March 2015. McBride’s petition to the Court concerns the principle of protecting independent State institutions. Since the latter part of 2014, we have seen, in quick succession, the removal of high-ranking state officials who had previously served government with distinction. These officials had built public trust in the institutions they led. (Please see the list and details of affected officials, attached to this statement). The events at the Directorate for Priority Crime Investigation (DPCI or the “Hawks”), IPID, the South African Revenue Service (SARS), Crime Intelligence in the SAPS, the State Security Agency, Denel and the National Prosecuting Authority (NPA), are not unrelated. There appears to be a remarkable coincidence in the methods used to remove officials from these institutions, the players involved and their intersecting interests. In our view, attacks on individuals in these institutions are aimed at undermining the fight against corruption. A key part of all of our mandates was to investigate cases of corruption. In reviewing our individual experiences over recent weeks, we have discovered a convergence in the cases that we were working on. A common thread is that cases under investigation involved individuals or entities with questionable relationships to those in public office. Most of these cases involved state tenders of some kind that were awarded due to patronage with influential individuals in public office. Robert McBride calls upon Police Minister to resign from his post as the country cannot have a Police Minister who acts unconstitutionally. The manner in which officials were removed has followed a similar pattern. Internal documents or “allegations” from within institutions are leaked to select journalists. Working in tandem with “anonymous” sources, facts are distorted in the media. It is unclear how the leaks happen, but they do not originate from the accused. After the information is leaked, the institution in question then launches an “investigation” into the accused officials, using news reports as pretext. The results of these “investigations” are then leaked to the same journalists again. During the “investigations” the affected officials are suspended and prevented from defending themselves publicly. They are never called to answer to any allegations by the investigators. Any representation is usually ignored, distorted or rejected by the institution in question. The investigations are open-ended and the allegations constantly change. When an “investigation” fails to reach a conclusion, the institutions enter into settlements with the officials. Later, based on the same allegations that preceded the settlement, officials are then criminally charged. It appears from this pattern that the intent is to hound officials out of institutions and destroy their credibility publicly. Throughout, the affected officials are required to bear all the costs for their legal defence although the charges against them relate directly to the execution of their duties as state officials. The state, on the other hand, can rely on unlimited resources. In all institutions cited here, the effective top leadership was removed and replaced. The replacements then institute far reaching structural and operational changes in the institutions. Often, the replacements themselves face legal challenges by public interest groups based on, either their appointments, or their subsequent actions. Where matters have gone to court, the courts have consistently found in favour of the affected officials with cost orders against their institutions, only for them to be suspended again and investigated on a new slate of allegations. This was so in the matters of Messrs Robert McBride, Ivan Pillay, Peter Richer, Anwa Dramat, Shadrack Sibiya, Johan Booysen, and Glynis Breytenbach, amongst others. It appears that the pattern of questionable processes has also been applied to the recent interactions of the Hawks with the Minister of Finance. They sent him 27 questions at a time when it was not feasible to answer, insisted on an unduly urgent deadline, leaked the questions to the media and excoriated him publically to answer on the pain of legal consequences. During all of this, they did not disclose what offence, if any, they were investigating or whether he was a witness or suspect. To date, it is not clear whether the Minister of Finance was even named in the complaint that was laid with the Police by SARS in May 2015. There was also complete disregard by the Hawks for the broader consequences to the economy. With recent judgments in the Constitutional Court and other courts, it is clear that the rule of law, rationality and the promotion of good governance in the public sector must be the cornerstone for sound public administration. The incumbents should be sensitive that the South African public is keenly aware of their duties and the limits to their authority and will not allow them to abuse it with impunity. Corruption is the biggest threat to our constitutional democracy. This cancer has turned former comrades against each other. People who shared the same trenches in the fight for liberation are now at each other’s throats for the sake of protecting corrupt activities. We should be concerned about the escalating levels of corruption and the damage it has inflicted on our country, service delivery, our economy and especially the poor. In January this year Transparency International ranked South Africa 61 out of 167 countries in its Corruption Index. According to Global Financial Integrity (GFI), South Africa loses about R147 billion through the illicit movement of money out of the country. We will continue to use our experience and expertise to investigate, fight and expose corrupt activities in the private and public sector. We will continue to seek legal recourse from the courts in our respective matters against state institutions. Although the immediate objective of our defence is private, our legal actions have a bearing on the public interest. In the first instance, they are aimed at curbing our harassment and intimidation by the state. Further, our actions will bring light to the true reasons for the abuse of state resources in the manner described above. We call on those in business, civil society, organised labour, NGOs and the general public who value and want to defend our constitutional democracy, to assist our efforts with legal advice and expertise and legal and financial resources.